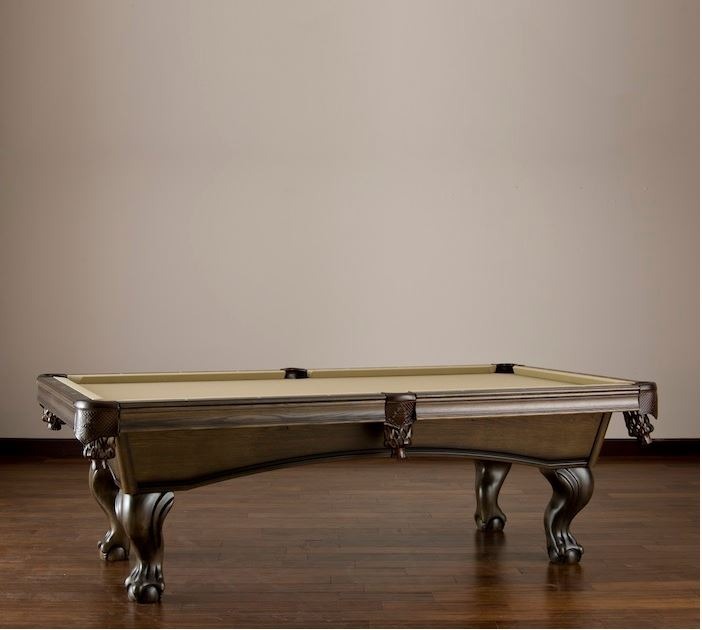 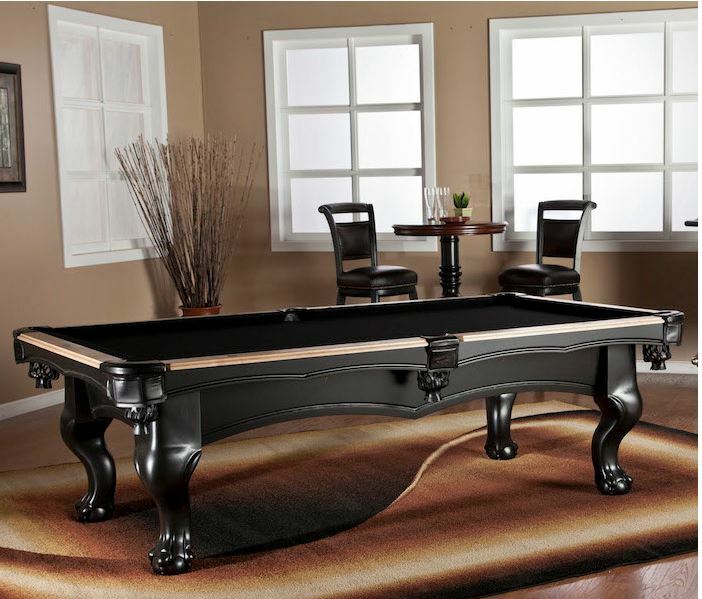 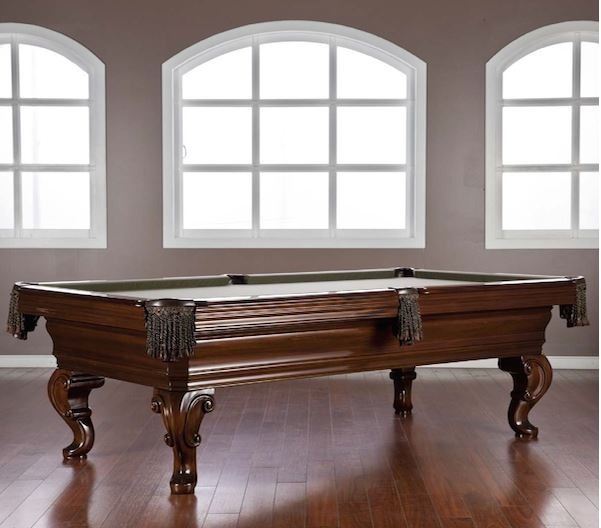 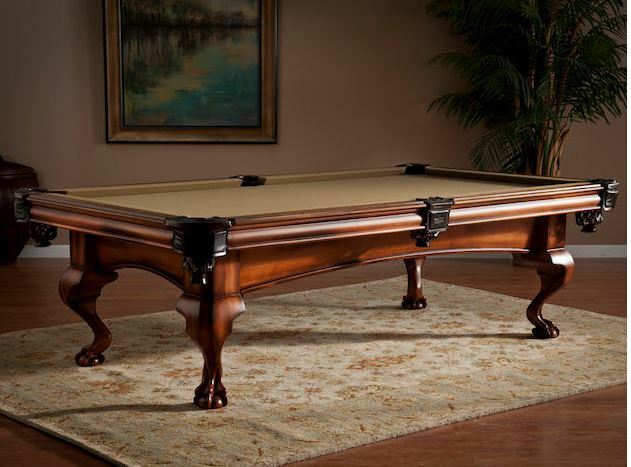 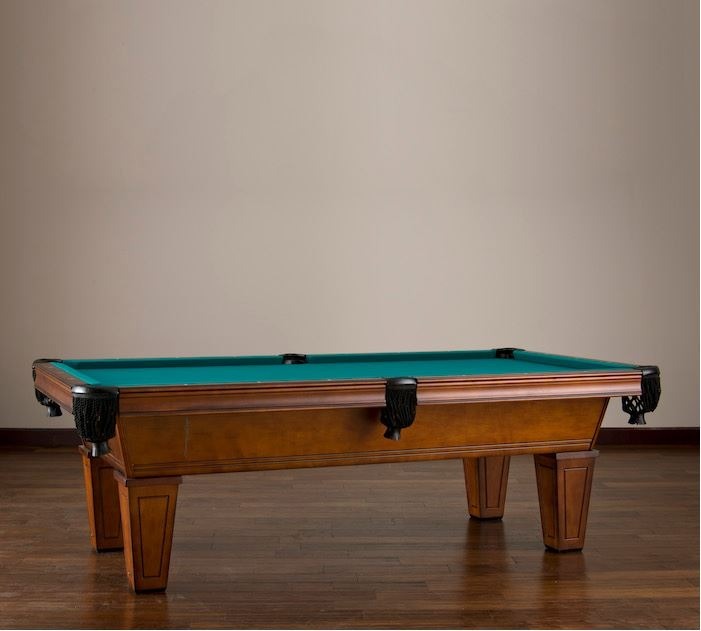 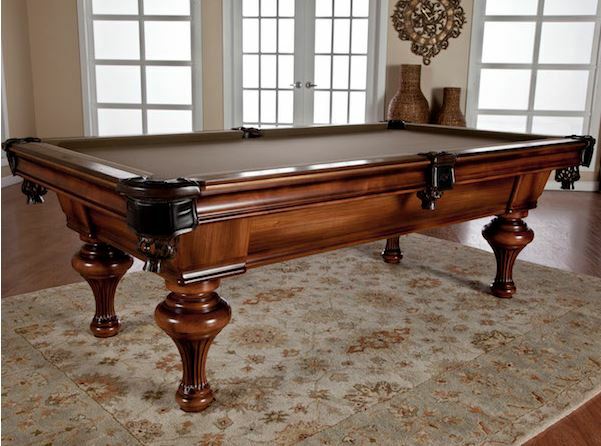 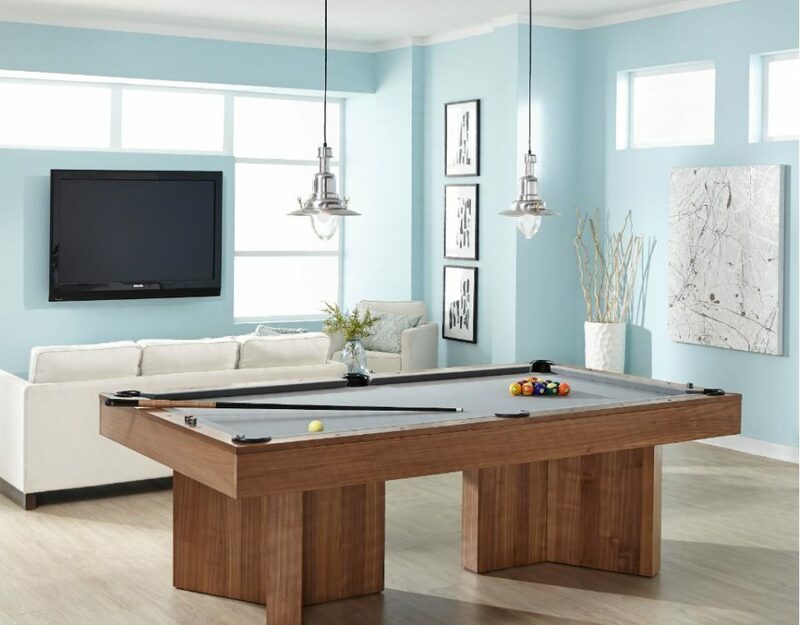 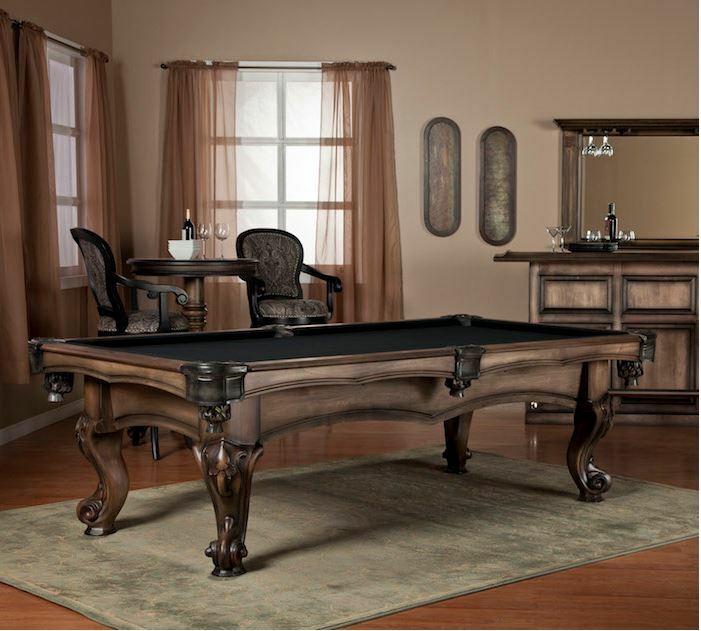 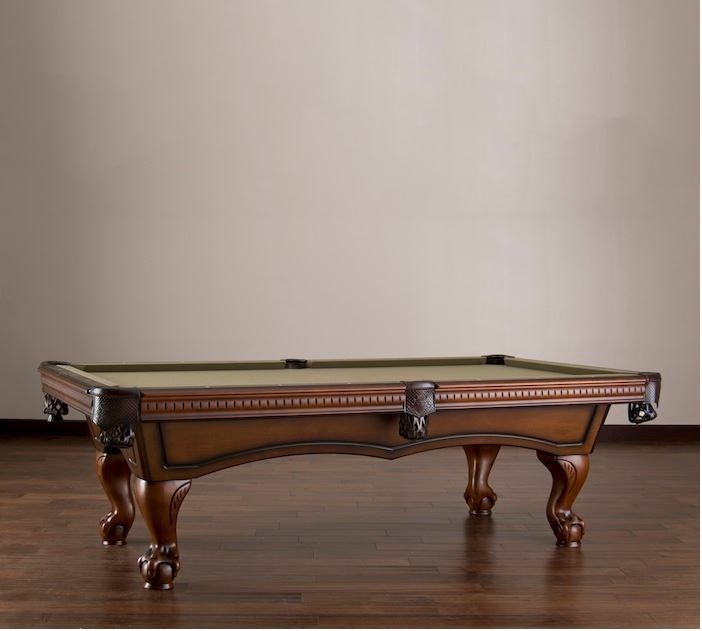 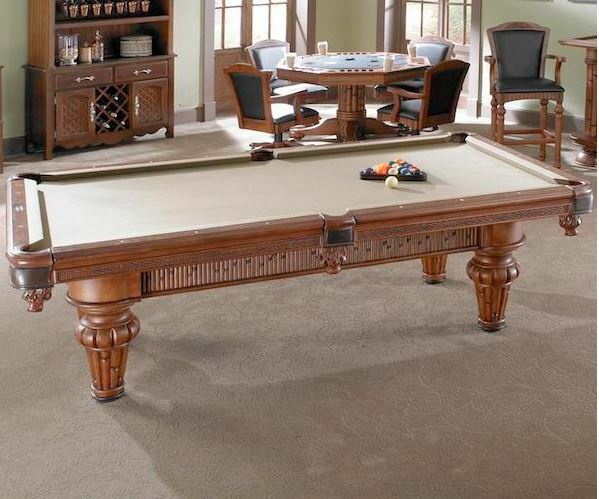 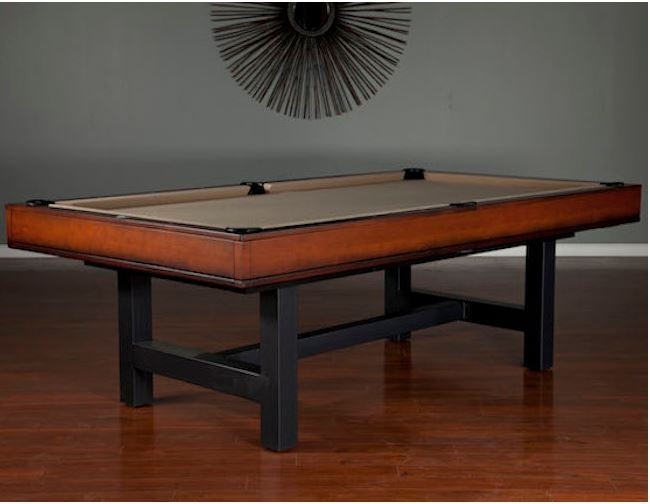 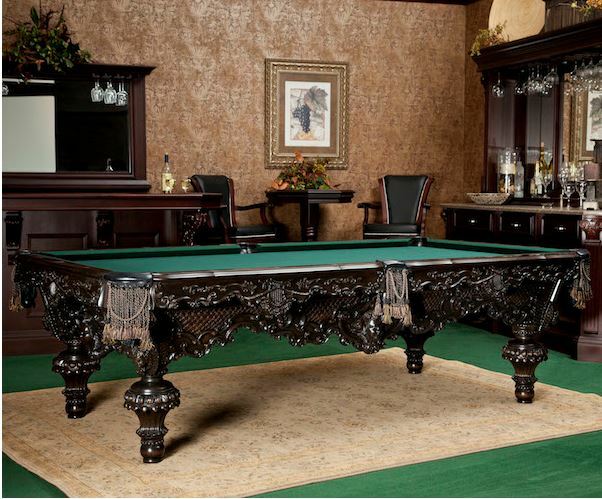 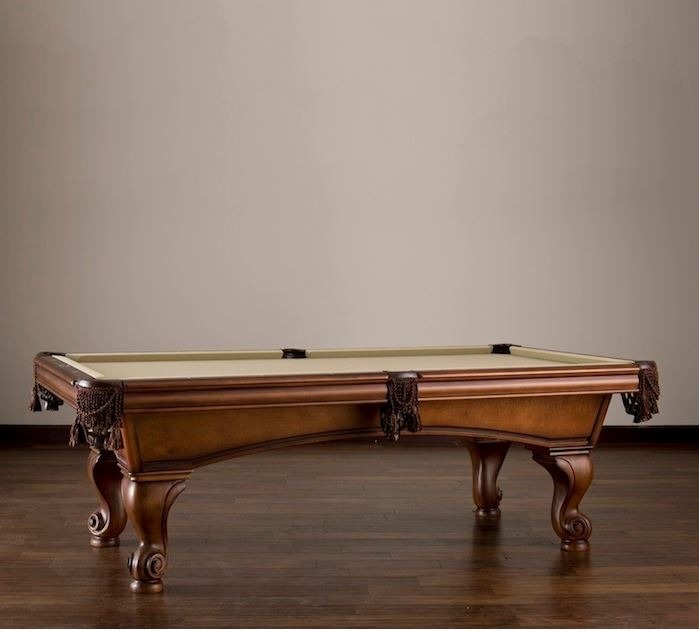 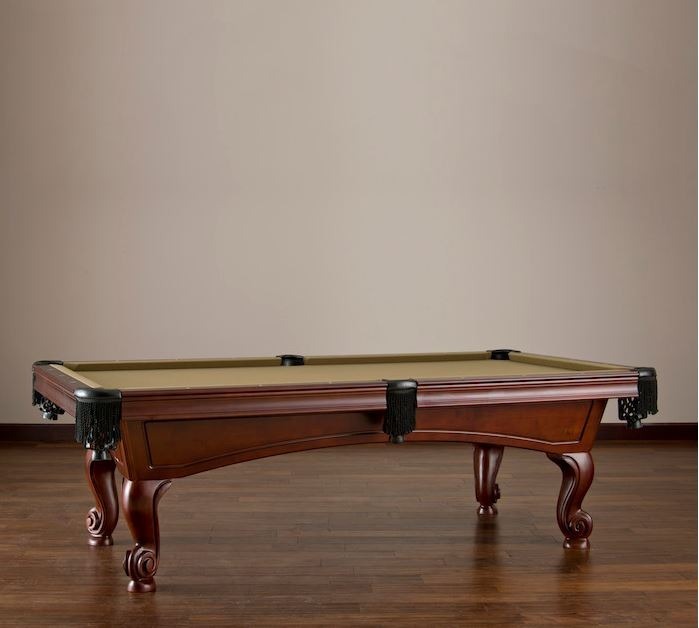 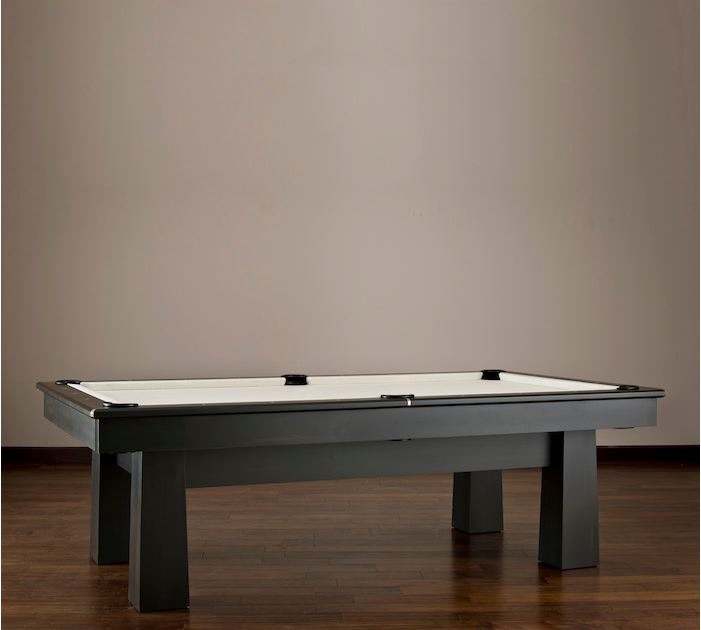 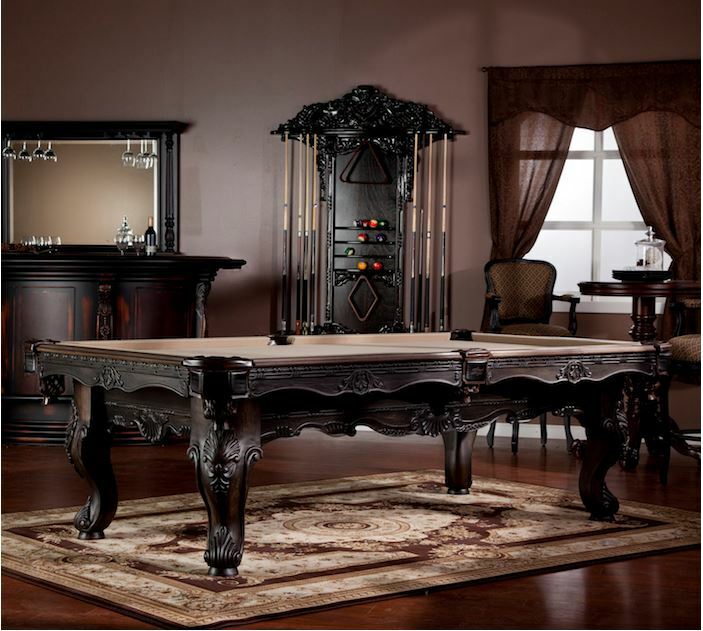 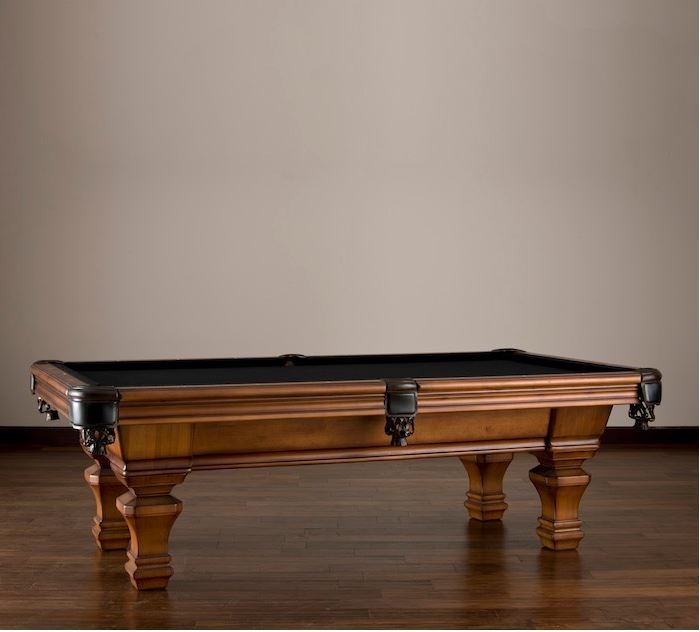 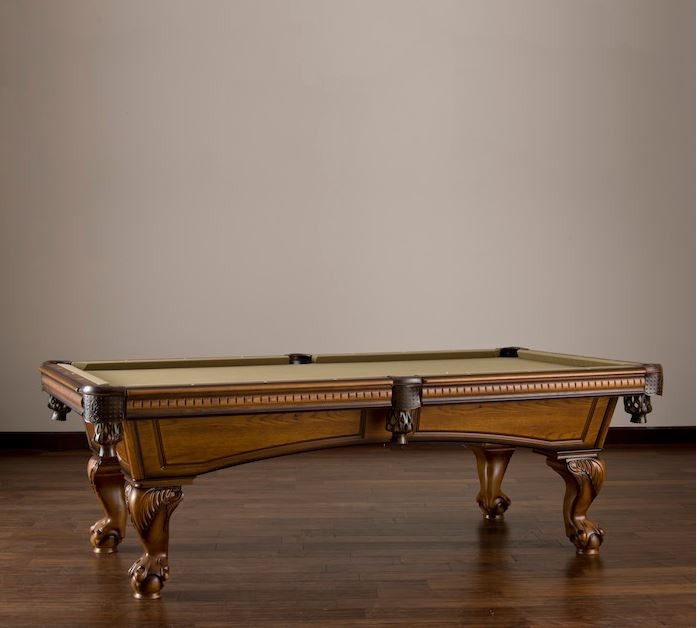 Carry elegance and sophistication to your favorite space when you bring the game you love home with this Tiffany 8’ pool table, a piece that commands attention and one that onlookers will envy. 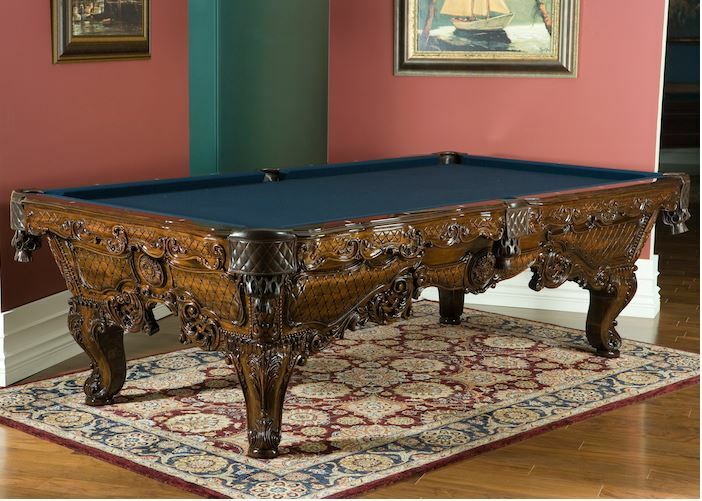 The premium construction shows in its brilliantly-tooled railings, handsomely-cut corners, and substantial rounded legs that offer winsome style with ornate carvings. 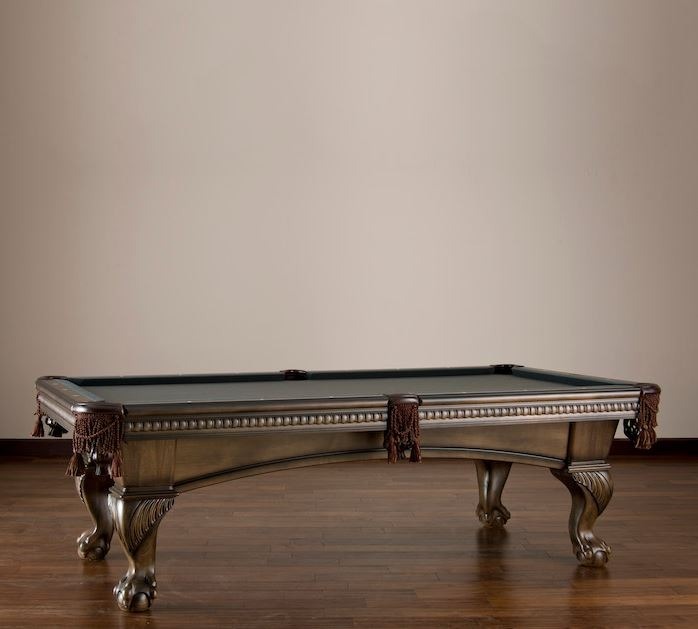 The Tiffany pool table’s owners will enjoy the richness of its savvy finish, leather pockets, and finely-upholstered bed, adding extra brilliance to every gathering and hosted event.